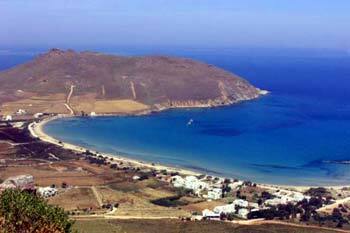 After 3km you will reach Molos Bay with its wide and sandy beach. For Molos we have to tell you that it is only the last 10 years that became known after this road was made. Molos is surrounded by the mountains of Kefalos and Antikefalos and all this land is owned by the monasteries.